Standing out from the crowd is a great feeling. But before you can stand out from the crowd, you have to join it. Working in the graphic design industry can be incredibly rewarding, but not everyone can call themselves an artist. Understanding the principles of design is one thing. What does it take to get someone else to recognize you as a graphic designer? Becoming a professional graphic designer is no easy task. 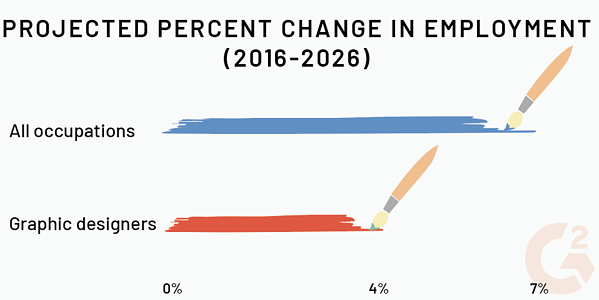 In the U.S., the job outlook for a graphic designer is estimated to grow by 4% from 2016 to 2026: slower than the average 7% growth rate for all occupations. That doesn’t mean you can’t get a job in the industry–but you’re going to have to work for it. Typically, a bachelor’s degree in graphic design or a similar field is required to get a job in graphic design. According to the National Association of Schools of Art & Design, accredits 362 universities, colleges, and institutions with programs in art and design. Plenty to choose from! While some schools allow students to apply openly to their art and design schools, other institutions require that students have previous experience in design and that they submit portfolio examples with their applications. Students can enroll in courses in high school that will allow them to explore their artistic ability and create pieces that are valid for submission before being admitted to a formal program. If you haven't studied graphic design in school but you want to break into that job field, don’t lose hope! Online classes that provide credit or certifications may help you meet the required qualifications for an internship, which can ultimately lead to a job. You can’t be a designer without some great graphic design skills. Graphic designers create visuals that are pleasing to the eye and effectively communicate useful information. In order to do this, both soft skills and technical skills are necessary. As a graphic designer, you should have a full understanding of some of the best design software out there. If you’re looking to become a multimedia designer, it may not be a bad idea to explore some free photo editing software. If you’re interested in becoming a layout artist, familiarize yourself with some of the highest rated desktop publishing software. While those technical skills will come in handy, they’re nothing without the soft skills that every graphic designer needs. Communication, problem-solving, and, of course, creativity should be in a designer’s toolbox just as much as their knowledge of typography. Entering “graphic designer” in a job search engine will bring up thousands of results. Luckily, there are ways to narrow that down. Depending on your expertise and interests, there are some job titles that fall under the “graphic designer” umbrella. Here are some of the most popular ones. Logo designers use graphic design to translate a brand identity into an image to be understood and recognized by consumers. This can be done when the graphic designer has an understanding of the elements of art and uses them along with color psychology to create something that represents their client. While logo design is complex, brand identity design is even more so. Logo designers create one or a few images that represent the company; brand designers create an entire visual identity. 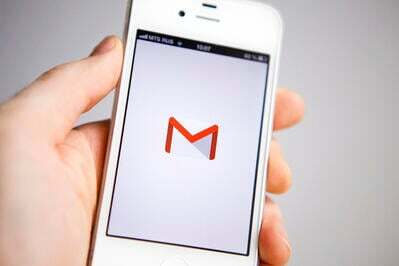 This can be integrated through the company’s business cards, merchandise, media advertising, etc. If brand identity design is done right, consumers remember the company based on the visual components that it brings to the table. Layout artists specialize in designing the structure of text and images in an aesthetically pleasing format for printed forms of media. These could include brochures, magazines, posters or flyers. Layout artists use their understanding of graphic design to work with the colors, sizes, and shapes of the items they’re laying out to make sure that the final result is appealing to the viewer. A web designer creates content for the web. They use their graphic design skills to appropriately layout web design elements content for a page, whether it be text, images, or videos as well as the colors, fonts, and sizes of images and text. Web designers should not only have an understanding of graphic design but also be well-versed in code. Multimedia designers use more than one medium to design. Their job is not strictly graphic design, but definitely involves it. Multimedia designers can work in television and film production, animation, audio production, and other fields that involve multiple forms of media in order to create the final product. Once you’ve acquired the appropriate education, skillset, and maybe even an understanding of what direction you want to go in, it’s time to prepare to enter the professional world. First things first, it’s important to gather everything you’ve done so far. Whether it was in school, a side project, or just a practice project that turned out well, it’s of utmost importance that graphic designers of any kind have a great graphic design portfolio. Not only is this a way for places that you apply to see your work, but there may be someone who stumbles upon your portfolio and is interested in hiring you. It’s a great way to get your name online and make your talent public. Second, you’re going to want to craft a great graphic design resume. Visually, these are a little more “out-there” than the traditional resume. In regards to content, it’s just about the same as anyone else’s. Past experience that’s relevant to what you’re interested in working towards, education, contact information and, of course, your name are some of the basic things that should be included in your graphic design resume. Once you start submitting applications, you may realize that some employers may request a graphic designer’s cover letter. A designer’s cover letter should be concise and give the hiring manager an introduction as to who you are and why you’re interested in the job you’re applying to. No two cover letters should be the same. The more specific to the job you’re interested in getting, the better. When writing your cover letter, be sure that all of your information is organized and that the structure flows and makes sense. 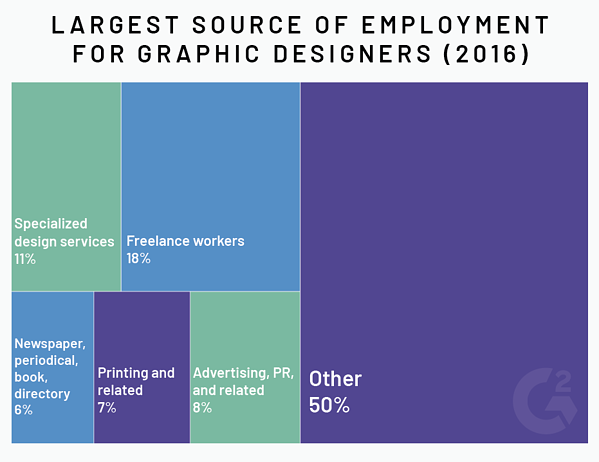 While the BLS goes over this information broadly, we're going to step even further outside of these boxes and instead look at the three overarching options of work environments for graphic designers. Working in-house as a graphic designer means being employed within an established company. Working in-house could mean that you may be joining a small team, but there’s always a chance of being a lone wolf. An in-house graphic designer is a jack-of-all-trades, someone who knows a little bit of everything in order to meet all of the company’s needs. It is unlikely that an in-house graphic designer will be expected to specialize in something unless otherwise specified in the job description. Because the in-house graphic designer is joining an already-established brand, the work environment is likely rather traditional. There’s some great benefits to this: consistency in work hours, a steady paycheck, and having the opportunity to represent one brand and grow with it. But working in-house isn’t all rainbows and butterflies. One of the disadvantages, especially if you’re the only designer, is that you’re in a traditional, corporate environment. The environment may not be inspiring, it could be loud or distracting, and you may not have many (or any) people to bounce ideas off of. There may also not be as much room for out-of-the-box thinking. Overall, a job as an in-house graphic designer is a stable one. If you like consistency, this may be a good option for you to look into. Working for an agency means that your place of work is hired by outside companies or individuals to produce a variety of different designs for a variety of different brands. The projects that are worked on are typically shorter and specific to the needs of each individual client. One client may need a website designed while another may need a brochure laid out. If you like diversity, working in an agency could be perfect for you. 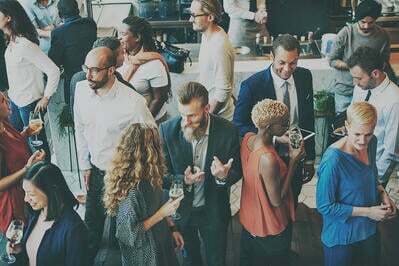 There are a few downsides to working in an agency, the biggest one being having the feeling of disposability because of the diversity of the needs from clients. Here’s an example. Let’s say you do an incredible job with packaging design. That’s great if the agency has client after client coming to them asking for unique ideas and the hiring agency doesn’t have many or any people that specialize in that. You’ll be a great fit! But if the agency has a client that needs a packaging design once in a blue moon, you have to decide if working there is a risk you’re willing to take. It’s hard to predict who will walk through the agency’s door. In summary, a job at an agency is fun, fast-paced, and nothing short of diverse. The downside is that your skill set has to be one that is constantly in-demand. Otherwise, you could be out the door. Don’t like being tied down to a desk all day? Freelancing may be the right move for you. Becoming a freelance graphic designer may sound like a dream job: working from home in your pajamas, getting to pick and choose the projects you work on, and unlimited vacation days. Sounds like the dream. Like all freelancers, freelance graphic designers have to work extremely hard. These rockstars aren’t just graphic designers; they’re the project manager, the marketer, the boss, the communicator, and the bookkeeper. It’s up to the freelancer to find their own work, network 24/7, and manage all of their projects and finances themselves. Payment is unreliable with individual clients, if you have those clients at all. It’s important that freelance graphic designers protect themselves and their work when they find a client that wants to team up with them. This can be done with a great graphic design contract. A contract will help a freelancer outline every project for both themselves and their clients, and keeping those contracts organized will make things much easier for everyone. If you prefer working alone and enjoy having your own schedule, freelancing may be a great option for you. Just be sure to keep an eye on your bank account. It takes a lot to be recognized as a graphic designer, but that’s a good thing! All of this hard work will pay off, and once people know your name, you’ll have earned it. There are a lot of different ways to go about becoming a successful graphic designer, but keeping some of this advice in mind is sure to get you somewhere great. Keep up the hard work and creativity and you’ll be able to grab your dream job by the horns. Not sure if you're ready to take these steps? Learn more about what graphic design is. 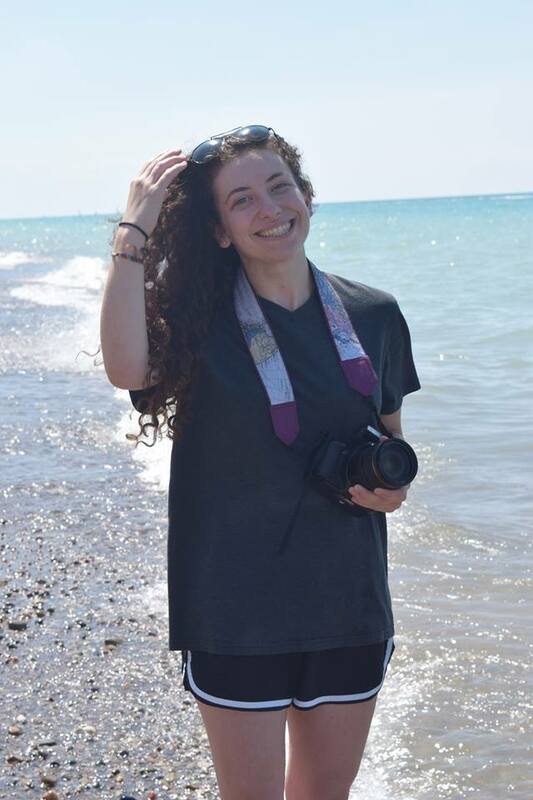 Daniella Alscher is a Marketing Content Associate for G2. When she's not reading or writing, she's listening to murder podcasts or sitting on the couch. Or both.